Scotland’s contribution to the modern world is much greater than her size and population might suggest. Throughout the long life of this passionate country, there have been many instances which suggest that it should be a single nation with an identity all of its own. What makes this land unique and what gives it a singular identity? It’s history is sprinkled with notable personalities born and raised in Scotland, whose impact on the world has been recorded in books and other works of art. The country has given the world a skirt for men, frightening sounding instruments of war and many other inventions or discoveries such as lasting road surfaces and plastic weather protection. However, amongst all these, one Scottish creation is now world renowned, sought after by thousands, enjoyed by millions and honoured with the greatest of compliments - imitation. It is the one true example of what the simple, thrifty Scot can create from the produce of mother earth at limited cost. A world class product which embodies the very essence of the Scot, the highland scenery and the fast changing climate. Uisge Beatha or the ‘water of life’ is an age old creation which has had an engaging effect on cultured and rough palates alike. The dictionary definition of whisky is lucid, precise and incontrovertible. It is defined as: Spirit distilled from malted barley or other grains. This is not over full in its explanation, but gives great scope for those them ample opportunity to explode a range of myths and to demonstrate their own expansive knowledge of the cult - for it is likely that their audience is not so well educated on the water of life. 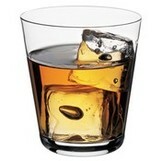 This is the second wonderful thing about whisky - the first being that you can drink it! Whisky sampling promotes quiet, unassuming amiability and fellowship, whereas wine tasting breeds snobbery, discord and envy. There is no frantic rush to savour the first of the bottling, rather a relaxed and dignified tasting of a well matured amber nectar. ii 99% of whisky drinkers can’t tell the difference, until informed of it. A prime Other is Irish whiskey and the first that one notices about it is that it has an ‘e’ in it. This goes back to history - for the ancient Scots, who were originally Irish, spoke a more broader form of Gaelic to the ancient Irish, who were originally Hungarian. It is created in a similar way to Scottish malt whisky but with two significant differences. 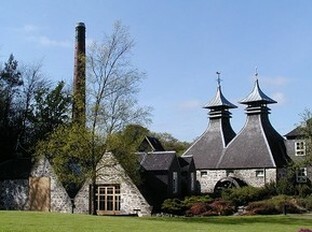 Firstly it is distilled three times instead of two, which accounts for the higher price per bottle, and secondly no peat is used in the kiln, thus making it sweeter, or to the malt expert, blander. It is odd that peat is not used considering that Ireland has more peat per acre than anywhere else in the universe - though maybe this has something to do with the fact that 99% of peat ends up in garden centres at a greater profit than using it in a kiln. The Celtic attitude to money is certainly very old and widespread!! 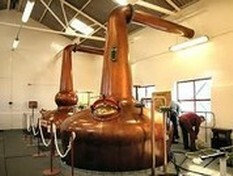 The Irish also make whiskey from potatoes called poteen. The Americans have tried to imitate the Scottish creation with Bourbon and Sour Mash, known as sipping whisky - since only those with withered taste buds would risk taking a mouthful. The perennial inventive Japanese have expended considerable energy in manufacturing imitations in the form of products made from imported bulk malt and instant powdered whisky. These other whiskies are dismissed by the true Scot on the principle that real Scotch can only be made in Scotland. The basis of this premise is that Scottish water is needed for the creative process. Scottish water is pure, clean and soft and has its own unique flavours infused as it is with mystic trace elements of peat, granite, heather, midge, tweed, damp and Roman Ninth Legion. When distilled in suitable proportions with the other produce of mother earth, the Scottish nectar is unique. The balanced blend of ingredients is a well kept secret in each distillery and that is why each malt has its own distinctive tinge and taste even though the water comes from the same spring. This passion to ensure that each creation is unique is the very essence of the Scottish nation. Through her whisky, Scotland has captured an individual niche of the world and will remain for ever a significant player on the world stage.